up until now I’ve mostly used the gray matter - white matter interface for seeding my streamlines with tckgen. However, I wonder whether I might be missing many important tracts that way: More specifically, any tracts that emerge from within subcortical regions. For example, I was trying to extract those tracts that connect the right and left thalamus. Of course, doing this on the tract-image which I generated with seeds on the GM-WM interface only gives me no such (reasonable) tracts, although anatomically I know they are there. Now I’m thinking that maybe combining the GM-WM interface image with a subcortical mask as a seed image might be a way to correct for this. But I wanted to check your opinions and thoughts on this. Under default usage, 5tt2gmwmi combined with -seed_gmwmi will generate seed points at the interface between any grey matter and white matter; so this includes the sub-cortical grey matter structures. The fundamental underlying assumption is that the density of axons crossing from WM into SGM is approximately equal to that entering the cortex from the WM. For example, I was trying to extract those tracts that connect the right and left thalamus … no such (reasonable) tracts, although anatomically I know they are there. Can you provide a reference for this? I’m curious. Do those tracts actually traverse the white matter at all, or do they cross where the thalami “touch”? If the latter, then altering the streamline seeding won’t enable reconstruction of those trajectories: streamlines that exist entirely within SGM and don’t enter the WM at all are thrown out. 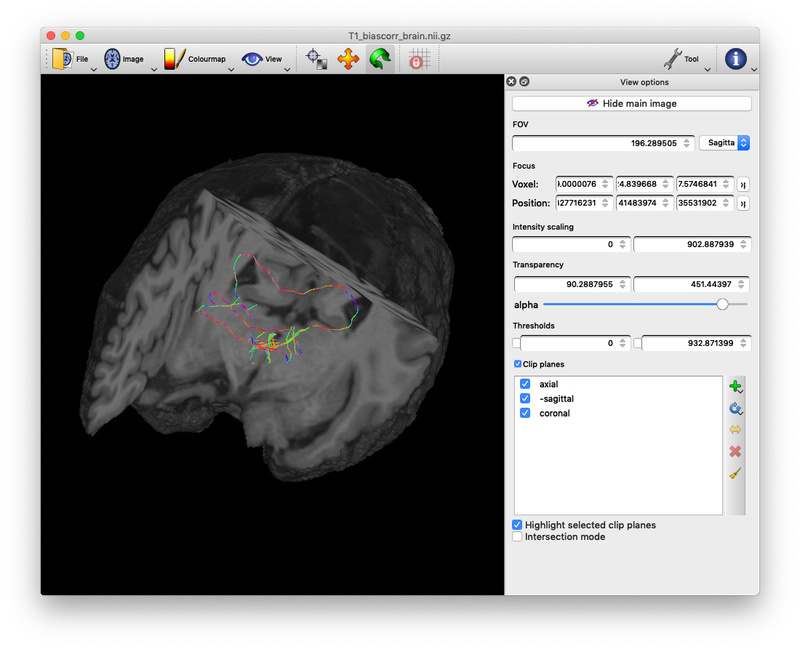 Now I’m thinking that maybe combining the GM-WM interface image with a subcortical mask as a seed image might be a way to correct for this. You can definitely do it; in fact, you can even use both in the one execution of tckgen! The difficulty is in the “balancing” of the number of streamlines you get from each: if you run tckgen just once it’s based on the relative integrals of the two input seed images, whereas if you run it more than once, then that balance is entirely under your control. Of course if you were to apply SIFT / SIFT2 afterwards, it should correct for that issue, at least in theory (it’s the same premise as that shown in Figure 10). or do they cross where the thalami “touch”? If the latter, then altering the streamline seeding won’t enable reconstruction of those trajectories: streamlines that exist entirely within SGM and don’t enter the WM at all are thrown out. Is there still any chance that I can recover more than these streamlines, i.e. those that exist purely in the SGM? My question was intended to be: is there evidence for the existence / trajectories of such biological connections? Pick any two nodes at random and generate enough streamlines and you’ll find a connection via tractography. My interest specifically in the possibility of inter-thalamic connections that don’t enter the WM is that it would indicate a current weakness in ACT. Currently, only by modifying the code. Commenting out these two lines and re-compiling should do the trick.